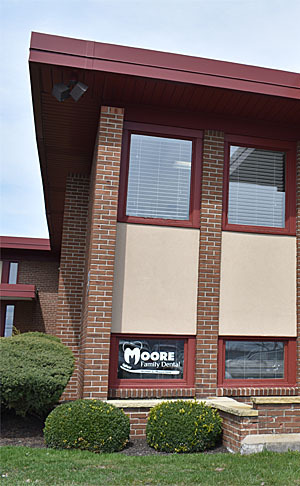 At Moore Family Dental, we believe in providing a routine oral cancer screening for the early detection of oral abnormalities. We use a technology called OralID. 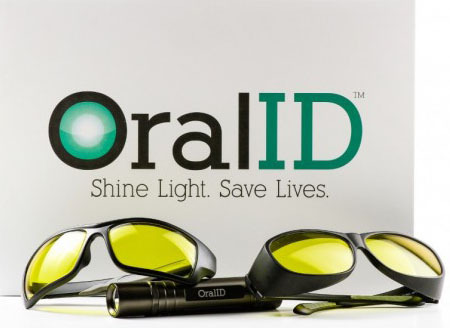 OralID uses a proven, optically based technology called “fluorescence technology.” OralID’s fluorescence technology uses a blue light (435–460 nm) that allows one of our clinicians or dentists to identify oral cancer, pre-cancer and other abnormal lesions at an earlier stage, thus saving lives. It is quick, easy to use and non-threatening to patients. When found at an early stage of development (Stage I and II), oral cancers have an 80 to 90 percent survival rate. The problem is that the majority of oral cancers are found in late stages (Stage II and IV), resulting in a mortality rate of 43 percent at a five-year diagnosis (for all stages combined).